Wow, this brings back a lot of childhood memories for me. The classic roadside picnic on the drive home from vacation. Picture it with me: PB & J’s that have sat just a little too long so the jelly is soaking through the bread. Slightly stale chips w/ bits of sand from the week’s earlier trips to the beach. Flat and slightly warm soda watered down in melted ice in red plastic Solo cups. All topped off with the last of the special cookies left from the vacation. Not to mention the warm air, sounds of the interstate, and the fresh fumes of the cars running on idle nearby. Classic. It’s hilarious to me that as a kid I LOVED these picnics on vacation. They were such a treat and a fun change from the regular routine! As an adult (now an admittedly slightly snobby adult?) 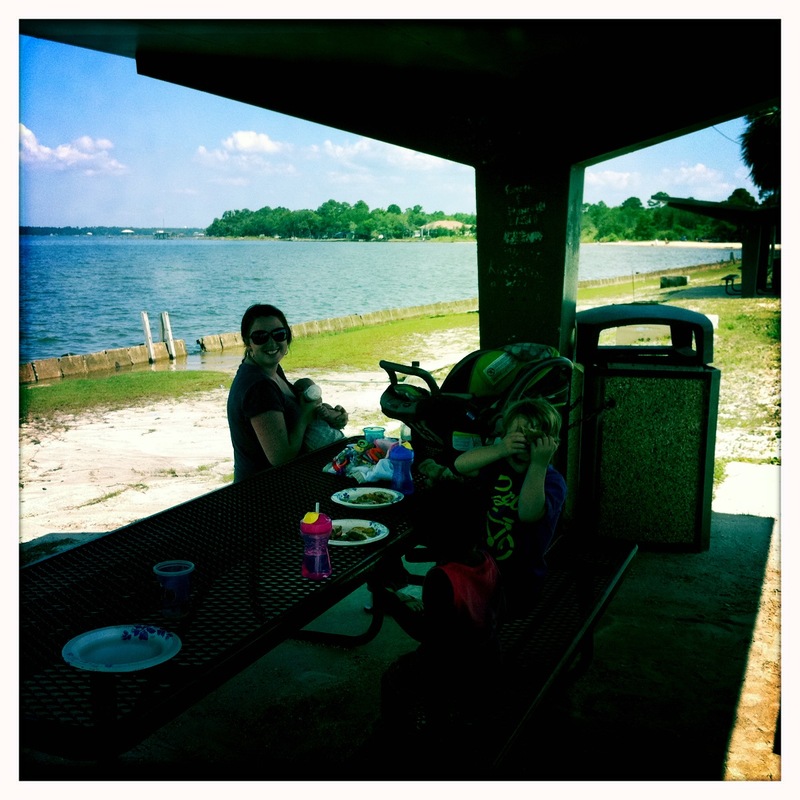 I realize that these picnics are really not so much fun for the grown ups involved, but the kids do love them! But, I will say it is a great way to save a few bucks on the drive home and that combined with the giddy smiles on the kids faces as they enjoy their lunch adventure, makes it all worth while. Back to reality. See you again soon, my dear ocean. Can anyone else relate or have a good roadside picnic memory? You are just lovely. So glad you had a great trip.